Since we already have two entries for titles on this series (Pc Futbol 6 and Pc Futbol 7) and I have this game in my personal collection I will like to describe this series as a whole instead of describing this single version. This series were started by Dinamic Multimedia Company located in Spain.... The first game I played was Pc Futbol 2.0 based on DOS 5.0 OS. At this moment, the game only needed between 2Mb to 3Mb HDD space. The first game that reach the mass was the 3.0 version in early 90s. 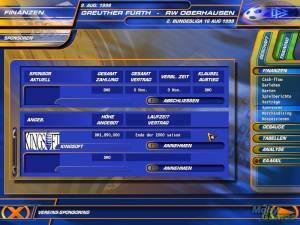 With the start of games using CD-ROMs as launching devices, Dinamic released the 4.0 version of the game. With an improved database and first internationals versions like leagues from Argentina.